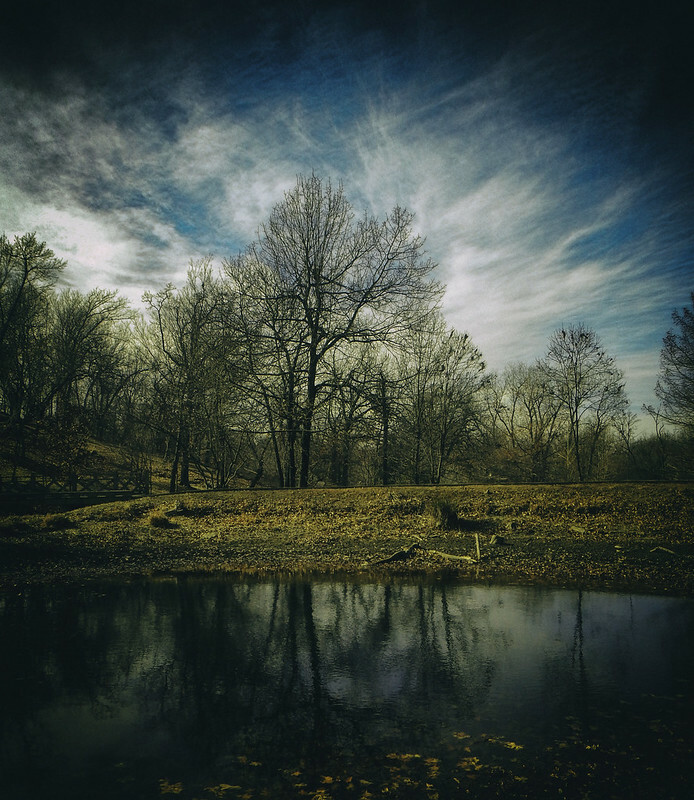 One of the ponds on Turkey Mountain late in the afternoon. 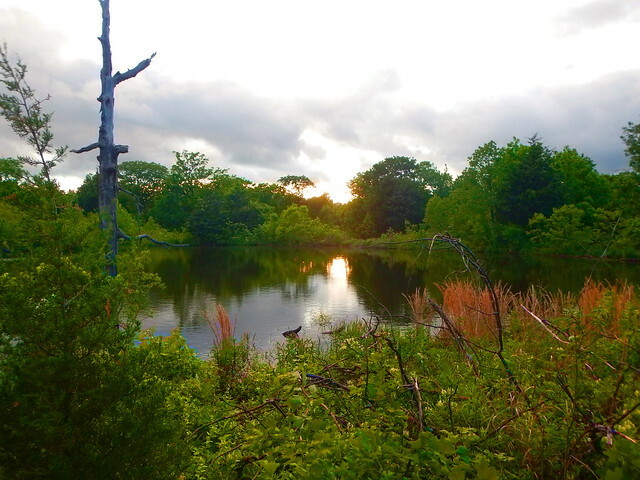 We have had a good amount of rain on the mountain this spring so many of the ponds are full of water. For some reason, the ponds are called lakes. I’m okay with that. The sky is a little vague in this photo but I like the light on vegetation in the foreground and I like the reflection of the sun also. So I’m going with it and hope you don’t mind. Come join us at Skywatch Friday! This entry was posted in Skywatch Friday and tagged Digital Art, Oklahoma, Skywatch Friday, Topaz Glow, Tulsa, Turkey Mountain on May 9, 2017 by Alan Bates. 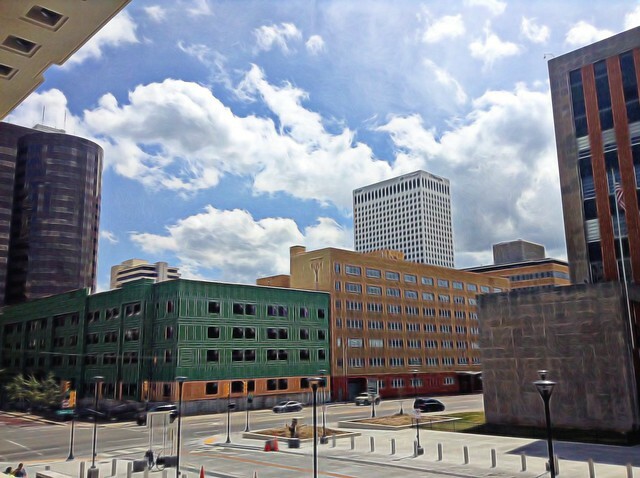 We have a lot of buildings going up in downtown Tulsa. Hotels, shopping areas, all sorts of stuff. This building oddly enough is a stick built wood structure and only four floors. It is sitting next to the tan colored YMCA building which was recently converted to apartments. This entry was posted in Skywatch Friday and tagged Digital Art, Downtown, Oklahoma, Skywatch Friday, Topaz Glow, Tulsa on April 20, 2017 by Alan Bates. I got away from work for a little while Tuesday at noon and drove to nearby Gilcrease Museum. I didn’t go into the museum but I went for a walk on the adjacent city park, Stuart Park. There was a sign there to be on the lookout for a bobcat and to report sightings. So that kind of perked my interest. I didn’t see any bobcats but I did take a few photos. It was very warm, almost 70. This is after being 4F on Saturday morning. Now we are supposed to have an ice storm on Saturday. Oh well, this winter if you don’t like the weather just wait a little bit and it will change. And then last night when I got home I noticed the moon was almost full so I got my trusty camera out and took a shot. It is the Full Wolf Moon, or almost full I guess. 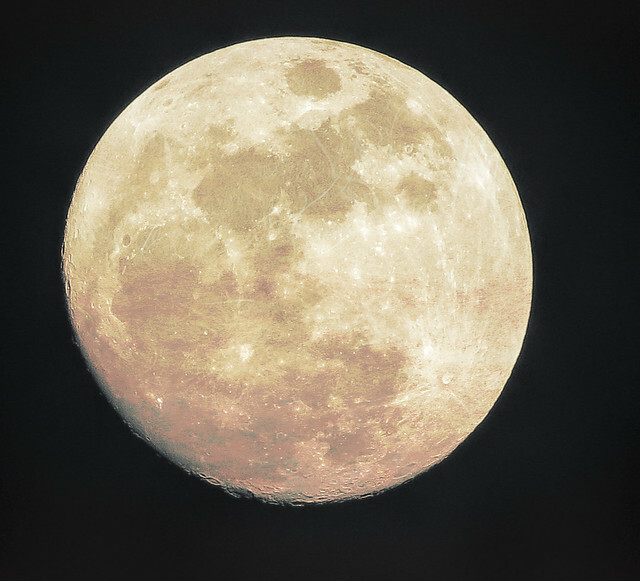 I love taking shots of the moon. I have dozens of them. I don’t know why, it doesn’t really change does it. I imagine I’ll be taking lots more as time passes. I’m linking this post with Skywatch Friday. Come join us. A new link starts Saturday at 2:30PM Central Time (US). This entry was posted in Skywatch Friday and tagged Digital Art, Full Moon, Full Wolf Moon, Moon, Oklahoma, Oklahoma Skies, Skies, Skywatch Friday, Stuart Park, Tulsa on January 11, 2017 by Alan Bates. I love these yellow picnic tables framed by the big tree branch on the grounds of the Philbrook Museum during an overcast day. Its a great museum and they have wonderful gardens. 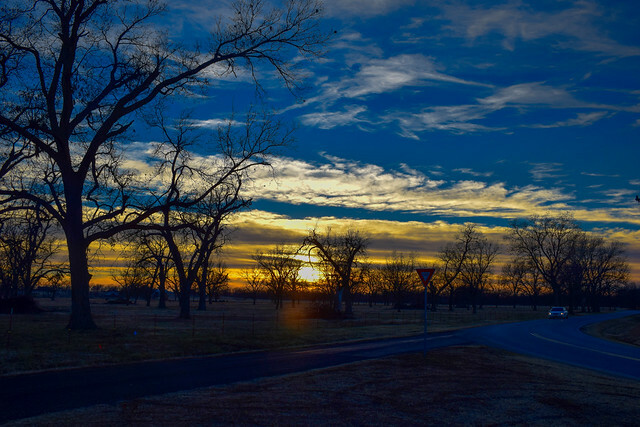 This entry was posted in Tulsa and tagged Digital Art, Philbrook Gardens, PIcnic Tables, Tulsa on December 27, 2016 by Alan Bates. This week I am going back to our vacation last month in Orange Beach, Alabama. 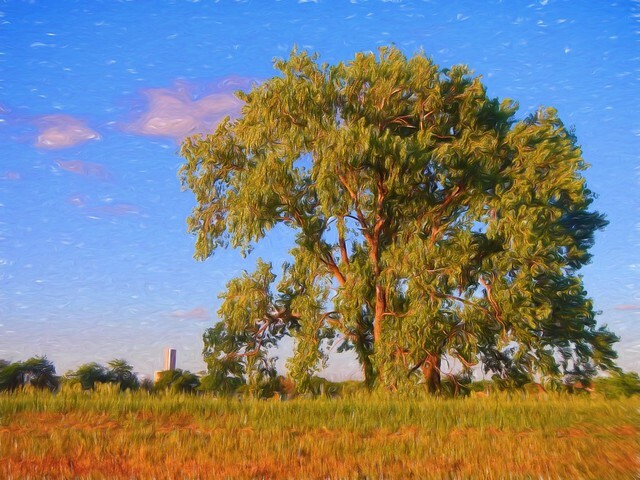 This is a photo from my Android phone with a little Topaz Impressions oil painting filter backed off about 50 percent. 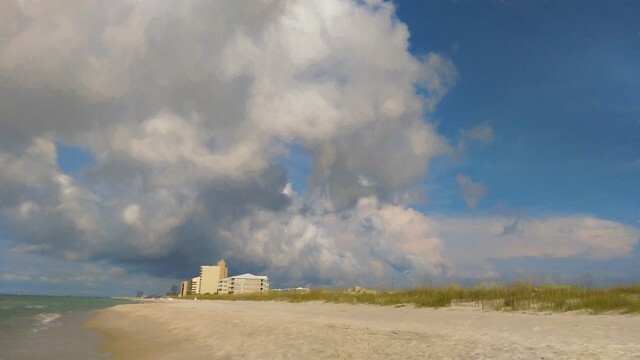 Orange Beach has lots and lots of high rise condos on the beach. Even at the height of the summer season it never seems like there is that many people out and about. Which is fine with me. This entry was posted in Skywatch Friday and tagged "Topaz Impressions", Alabama, Digital Art, Orange Beach, Skywatch Friday, Vacation 2016 on August 4, 2016 by Alan Bates. Cherry Street is a cool part of Tulsa with independent businesses and old storefronts and generally just a fun place to hang out in this day of mass merchandisers. This entry was posted in Weekend Reflections and tagged "Topaz Impressions", Cherry Street, Digital Art, Oklahoma, Tulsa, Weekend Reflections on June 24, 2016 by Alan Bates. I went running in the Tulsa suburb of Jenks a couple weeks ago and when I finished up in the late afternoon this tree was yelling for my attention. I had to maneuver around to get a photo free of billboards and power lines but here it is. You can see one of the Cityplex towers of south Tulsa to the left. And I confess, I had to improve on nature a little bit, or at least the image my camera presented me, so I jacked it up with some Topaz Impressions software. Anyways, this Friday is the 13th, the only one we have in 2016, so watch yourself!! This entry was posted in Skywatch Friday and tagged "Topaz Impressions", Digital Art, Friday the 13th, Jenks, Oklahoma, Skywatch Friday, Sunset on May 12, 2016 by Alan Bates. 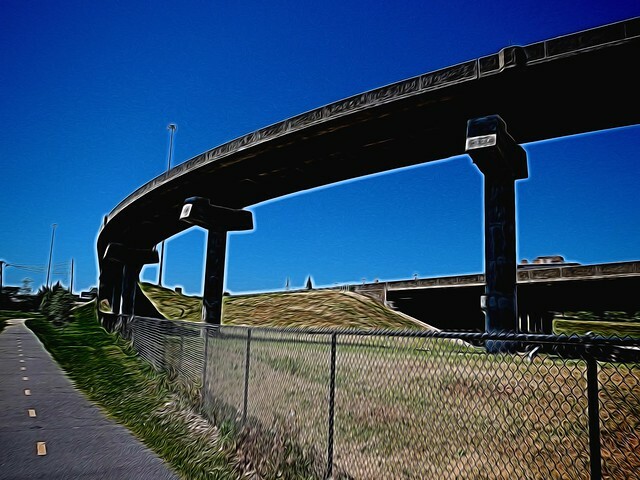 This is an off ramp off a highway going into downtown Tulsa. 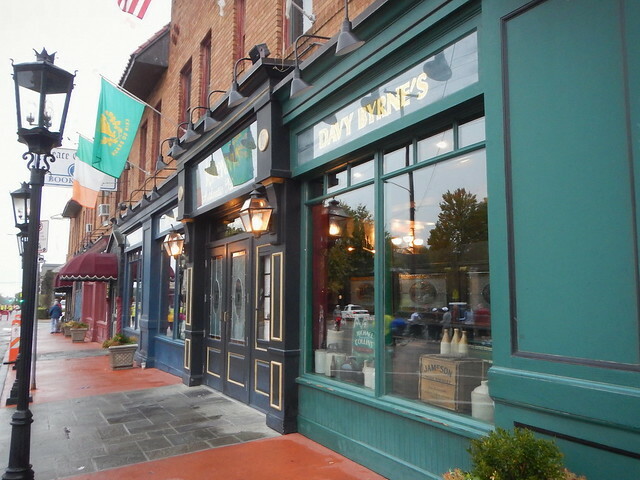 I love its broad sweeping turn in the air. I used Topaz Glow to get mask out the detail on the ramp and emphasize the form of it and its supports. This entry was posted in Creative Playroom, Digital Art and tagged Creative Playroom, Digital Art, Highways on May 10, 2016 by Alan Bates. 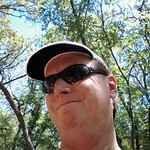 This shot is from a few weeks ago during a family hike on Tulsa’s Turkey Mountain. I thought this pair of ragged but tough trees looked a like fighting sisters really going after it. Or maybe they are dancing? But they look too angry to be dancing. What do you think? And yep, there is a sky behind them. I’m linking with Skywatch Friday today. 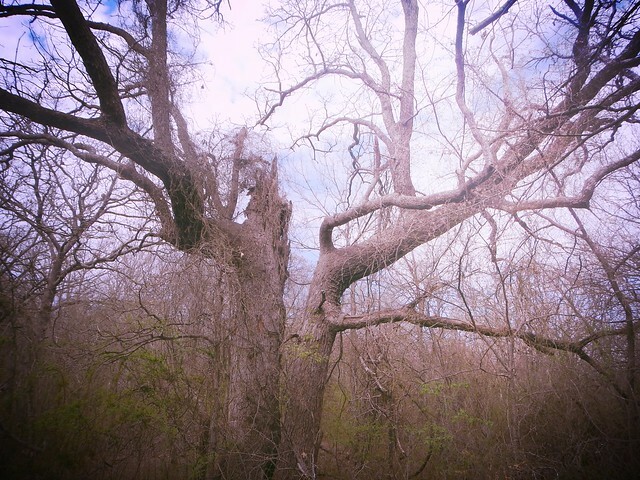 This entry was posted in Skywatch Friday and tagged Aviary, Digital Art, Oklahoma, Skywatch Friday, Trees, Tulsa, Turkey Mountain on April 14, 2016 by Alan Bates.